Sid Meier's Alpha Centauri, Best Lines! The Future of Firearms: The Inteliscope! At this year’s Consumer Electronics Show, one of the tech trends to watch was the concept of the Smart Home. Yes, in addition to 4K televisions, curved OLEDs, smart car technology and wearables, a new breed of in-home technology that extends far beyond the living room made some serious waves. And after numerous displays and presentations, it seems that future homes will involve connectivity and seamless automation. But in many ways, the companies on the vanguard of this movement are still working on drawing the map and several questions still loom. For example, how will your connected refrigerator and your connected light bulbs talk to each other? Should the interface for the connected home always be the cell phone, or some other wirelessly connect device. Such was the topic of debate at this year’s CES Smart Home Panel. The panel featured GE Home & Business Solutions Manager John Ouseph; Nest co-founder and VP of Engineering Matt Rogers; Revolv co-founder and Head of Marketing Mike Soucie; Philips’ Head of Technology, Connected Lighting George Yianni; Belkin Director of Product Management Ohad Zeira, and CNET Executive Editor Rich Brown. Specific technologies that were showcased this year that combined connectivity and smart living included the Samsung Lumen Smart Home Control Panel. This device is basically a way to control all the devices in your home, including the lighting, climate control, and sound and entertainment systems. It also networks with all your wireless devices (especially if their made by Samsung!) to run your home even when your not inside it. Ultimately, Samsung hopes to release a souped-up version of this technology that can be integrated to any device in the home. Basically, it would be connected to everything from the washer and dryer to the refrigerator and even household robots, letting you know when the dishes are done, the clothes need to be flipped, the best before dates are about to expire, and the last time you house was vacuumed. 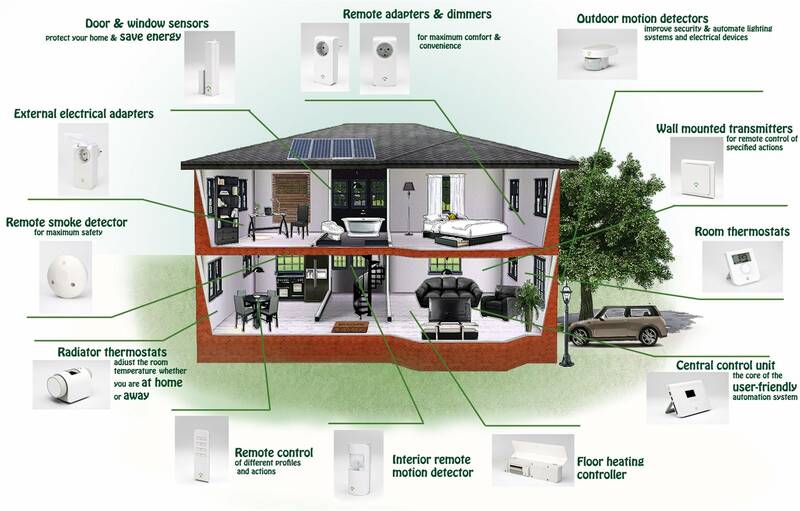 As already noted, intrinsic to the Smart Home concept is the idea of integration to smartphones and other devices. 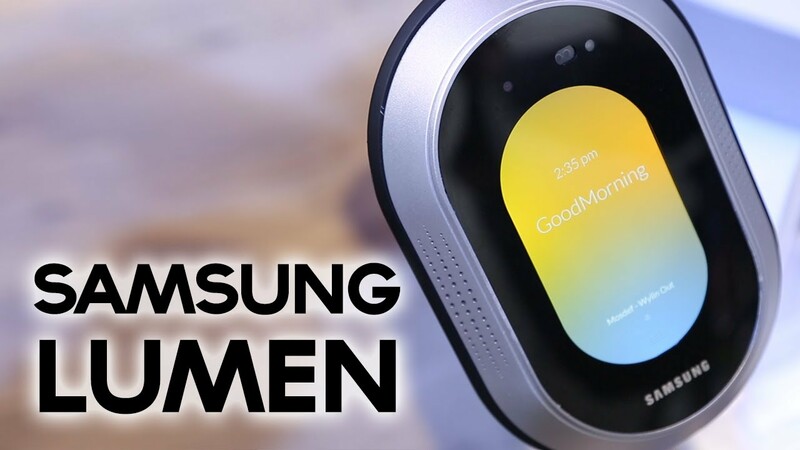 Hence, Samsung was sure to develop a Smart Home app that would allow people to connect to all the smart devices via WiFi, even when out of the home. For example, people who forget to turn off the lights and the appliances can do so even from the road or the office. These features can be activated by voice, and several systems can be controlled at once through specific commands (i.e. “going to bed” turns the lights off and the temperature down). Cameras also monitor the home and give the user the ability to survey other rooms in the house, keeping a remote eye on things while away or in another room. And users can even answer the phone when in another room. Other companies made presentations as well. For instance, LG previewed their own software that would allow people to connect and communicate with their home. 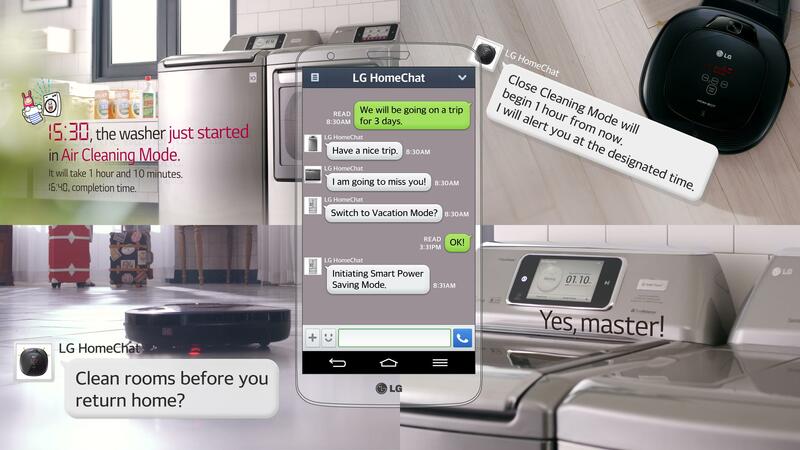 It’s known as HomeChat, an app based on Natural Language Processing (NLP) that lets users send texts to their compatible LG appliances. It works on Android, BlackBerry, iOS, Nokia Asha, and Windows Phone devices as well as OS X and Windows computers. This represents a big improvement over last year’s Smart ThinQ, a set of similar application that were debuted at CES 2013. According to many tech reviewers, the biggest problem with these particular apps was the fact that each one was developed for a specific appliance. Not so with the HomeChat, which allows for wireless control over every integrated device in the home. 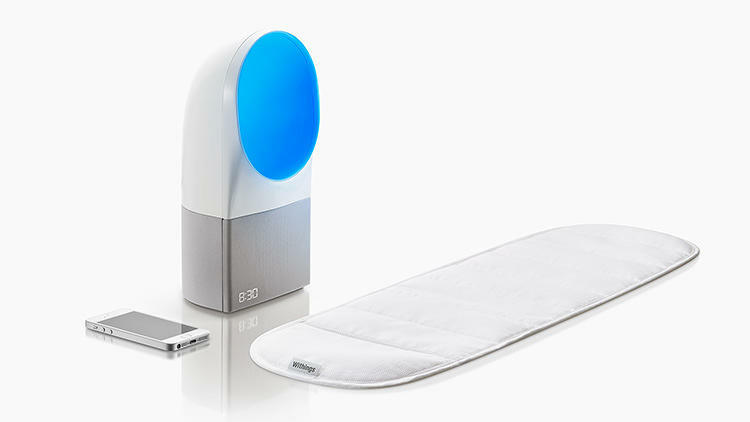 Aura, a re-imagined alarm clock that monitors your sleep patterns to promote rest and well-being. Unlike previous sleep monitoring devices, which monitor sleep but do not intervene to improve it, the Aura is fitted a mattress sensor that monitors your movements in the night, as well as a series of multi-colored LED light that “hack” your circadian rhythms. In the morning, its light glows blue like daytime light, signaling you to wake up when it’s optimal, based upon your stirrings. At night, the LED glows orange and red like a sunset and turn itself off when you fall asleep. The designers hopes that this mix of cool and warm light can fill in where the seasons fall short, and coax your body into restful homeostasis. Meanwhile, the Aura will send your nightly sleep report to the cloud via Wi-Fi, and you can check in on your own rest via the accompanying smartphone app. The entire body is also touch-sensitive, its core LED – which are generally bright and piercing – is cleverly projected into an open air orb, diffusing the light while evoking the shape of the sun. And to deactivate the alarm, people need only trigger the sensor by getting out of bed. 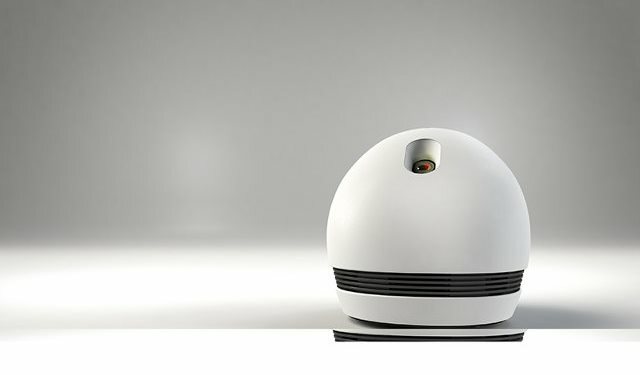 Then there was Mother, a robotic wellness monitor produced by French inventor Rafi Haladjian. 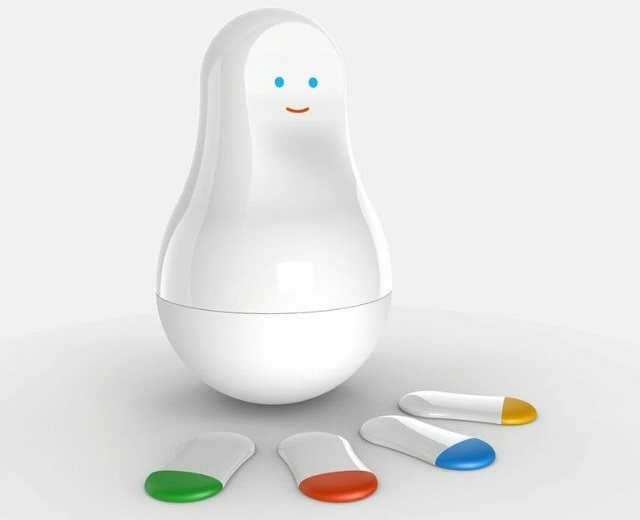 This small, Russian-doll shaped device is basically an internet base station with four sensors packs that track 15 different parts of your life. It is small enough to fit in your pocket to track your steps, affix to your door to act as a security alarm, and stick to your coffee maker to track how much you’re drinking and when you need more beans. And though the name may sound silly or tongue-in-cheek, it is central to Haladjian’s vision of what the “Internet of things” holds for us. More and more, smart and sensor-laden devices are manifesting as wellness accessories, ranging from fitness bands to wireless BP and heart rate monitors. But the problem is, all of these devices require their own app to operate. And the proliferation of devices is leading to a whole lot of digital clutter. Lots of things that were manageable when the number of smart devices was scarce, become unbearable when you push the limit past 10. You won’t be willing to change 50 batteries every couple of weeks. You won’t be willing to push the sync button every day. And you can’t bear to have 50 devices sending you notifications when something happens to them! And last, but not least, there was the Keecker – a robotic video projector that may just be the future of video entertainment. Not only is this robot able to wheel around the house like a Roomba, it can also sync with smartphones and display anything on your smart devices – from email, to photos, to videos. And it got a battery charge that lasts a week, so no cords are needed. Designed by Pierre Lebeau, a former product manager at Google, the robot is programmed to follow its human owner from room to room like a little butler (via the smartphone app). It’s purpose is to create an immersive media environment by freeing the screen from its fixed spots and projecting them wherever their is enough surface space. In this respect, its not unlike the Omnitouch or other projection smartscreens, which utilizes projectors and motion capture technology to allow people to turn any surface into a screen. The design even includes features found in other smart home devices – like the Nest smoke detector or the Spotter – which allow for the measuring of a home’s CO2 levels and temperature, or alerting users to unusual activity when they aren’t home. Lebeau and his company will soon launching a Kickstarter campaign in order to finance bringing the technology to the open market. And though it has yet to launch, the cost of the robot is expected to be between $4000 and $5000.